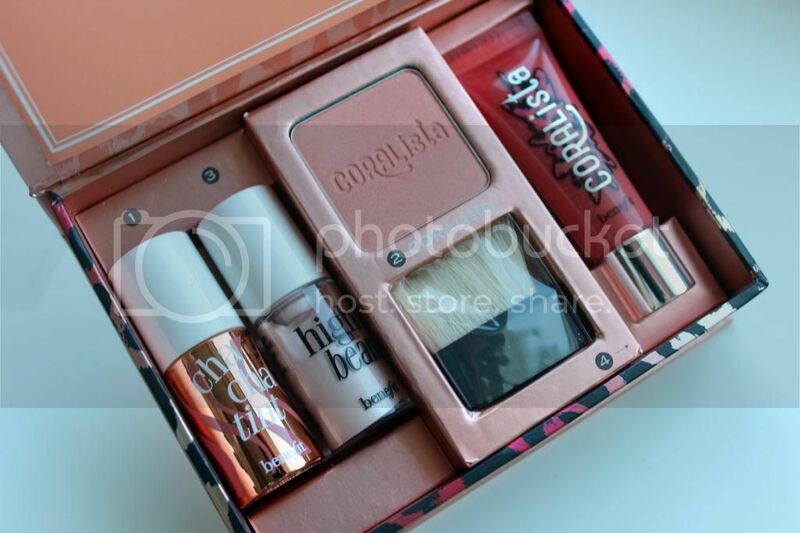 Benefit is bringing out so much cute little kits recently - they're perfect if you don't want to fork out on full size products and want to try out a variety. 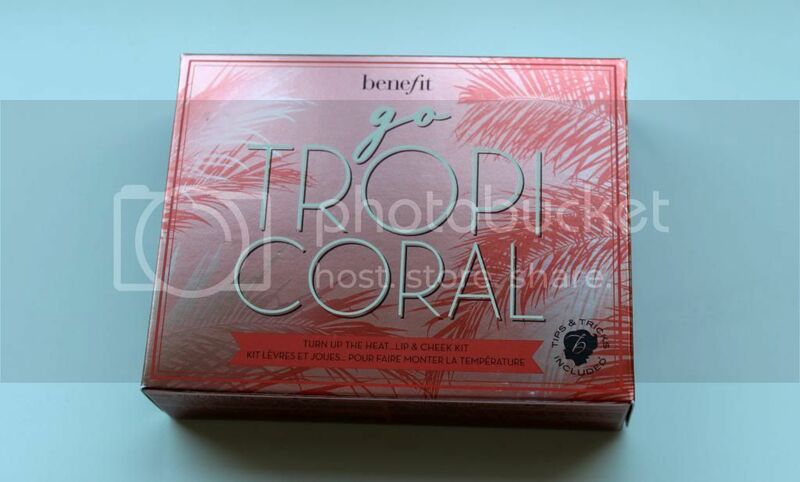 The other products are relatively new to me, but I love coral shades with my skin tone so I knew I would like using them. The Cha Cha Tint is a mango shade tint that you can use on your cheeks and lips. It's a lovely sheer stain, which lasts most of the day. It's a nice, creamy texture and blends really well. CORALista is a coral/tropical blush that really compliments the Cha Cha Tint. The pigmentation is fab and it blends really easily on your skin. It'll be great to wear during spring/summer! I'm not usually one for lipglosses but the CORALista Ultra Plush lipgloss is a pleasant surprise. The colour is a lot darker than the blush, which I like as it adds some nice colour to your lips but still looks quite natural. In fact, I like to use this on top of my orange lipsticks in order to add some shine to it! What do you think of Benefit's lip and cheek sets? What's your favourite?